In the world’s poorest countries, women and girls walk nearly 4 miles every day to retrieve clean water for their families, which often keeps them from an education, a career, and independence. This is injustice. 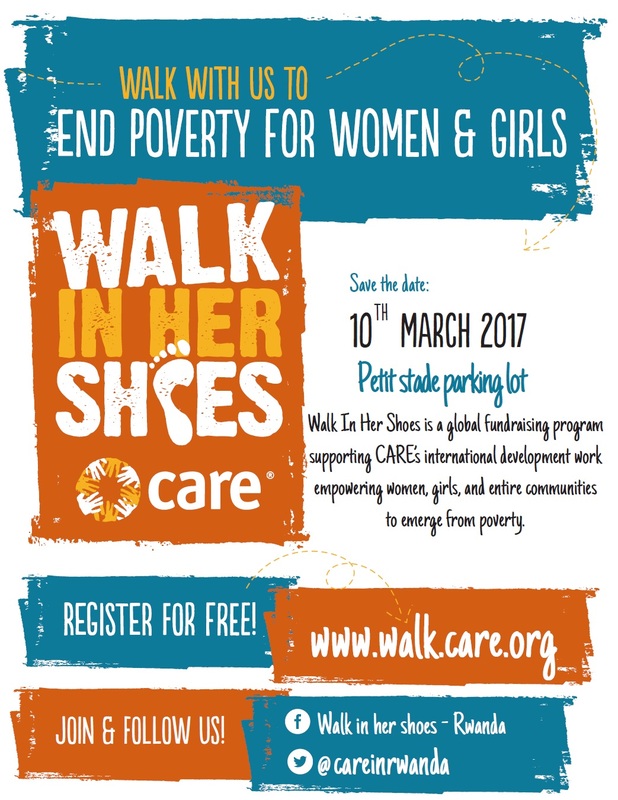 Organized by CARE Rwanda, Walk in Her Shoes is the Rwanda edition of the international event that calls on all of you to walk in solidarity with women and girls in Rwanda and all around the world. The program will start at 10am with exhibitions by participants in CARE’s projects and welcoming words from District Officials and CARE Rwanda’s Country Director. Around 11.30, we will walk from Petit Stade, past Kimironko market and Rwanda Education Board back to Petit Stade (some 3-4 km). After the walk, there will be music by Ciney and testimonies from several women.